I am delighted to say that the fund is now in operation. Many thanks to all who have contributed. I hope that you will be happy with the way your money is being spent. I have had the pleasure of meeting the children and telling them about the support. Their smiles said it all for me! The committee in Lalibela has selected the 10 most deserving young people from the 38 applicants. The committee in Scotland has agreed that all 10 should be given support this year. The stories are very similar as all the children are from very poor backgrounds. I am delighted that such a range of young people has been selected. We are supporting University students, College students, Vocational school students and some young people who would not be able to continue at school without our support. Baye who could not attend the ‘group’ photograph. Yonas has elderly parents who are unable to work and are therefore unable to support. 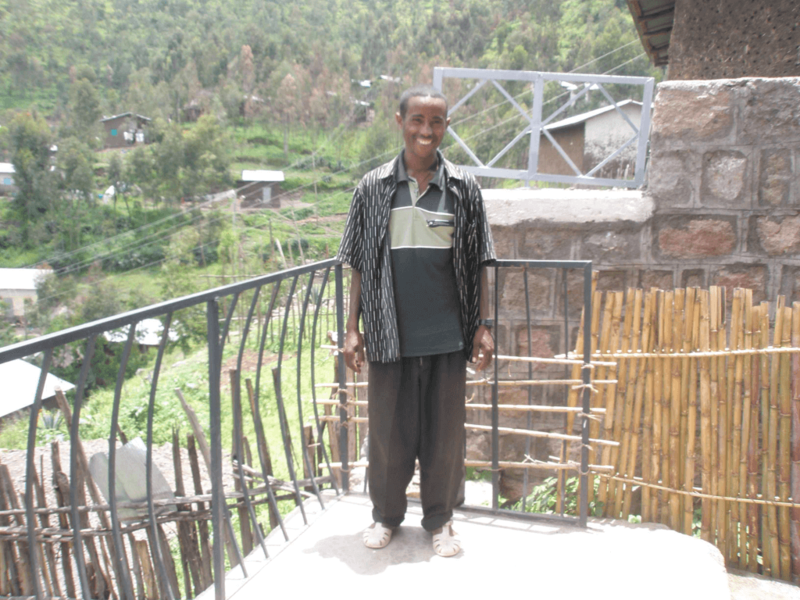 He completed grade 12 this year and was the top student in Lalibela. 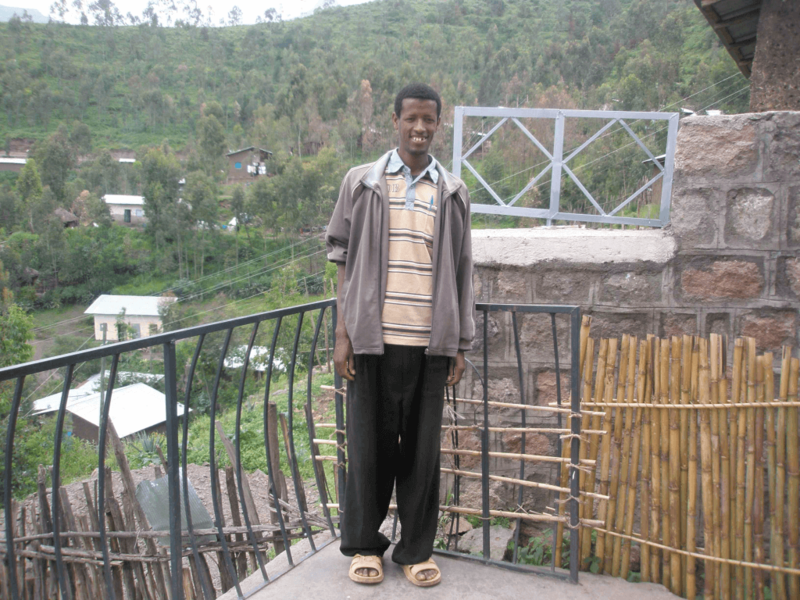 He has been allocated a place at Gonder University to study medicine, and our support means that he can take up this place. It has been agreed to give him 900 Birr every month (£45), with an incentive bonus of 600 Birr on successful completion of semester 1, and another 600 Birr on successful completion of first year. Sefi’s family farm in a village 45 Km. from Lalibela. She has 3 sisters and 1 brother. 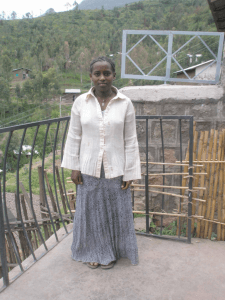 To support her education, she has worked as a servant in Lalibela. This has given her board and lodgings. We are opening the door! 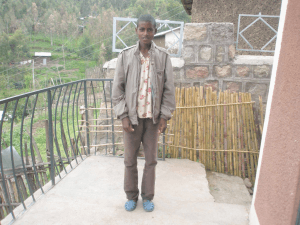 Desta’s parents live 40 Km. from Lalibela. She is the second youngest of 5 children. 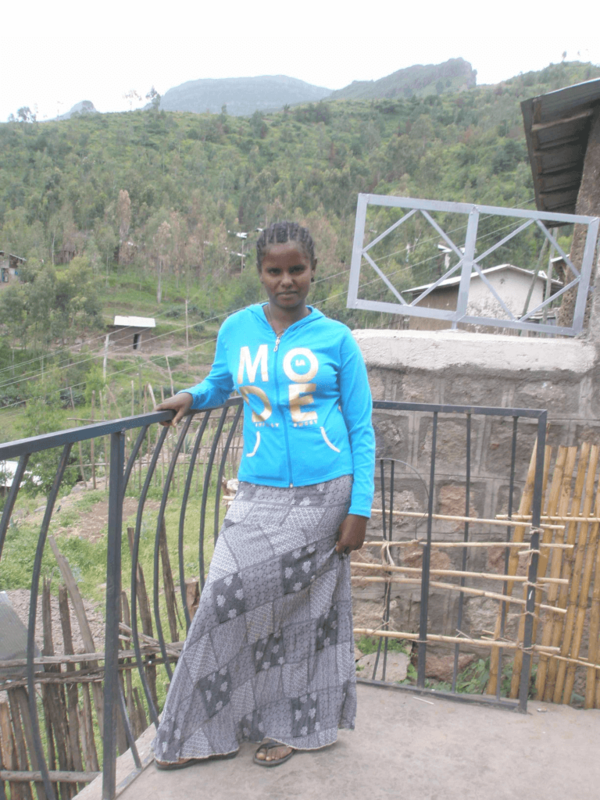 She is a clever girl, but the parents do not have the money to support her further education. 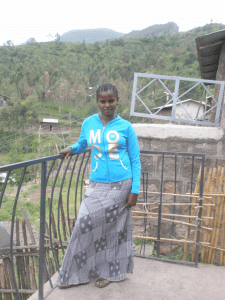 She has successfully completed grade 12 and is taking up a place at Debre Birhan University. She will be studying Social Sciences and Humanities. It has been agreed to give her 900 Birr every month (£45), with an incentive bonus of 600 Birr on successful completion of semester 1 and another 600 Birr on successful completion of first year. Adane is one of 6 children. His family are farmers. His performance at elementary school was excellent and he progressed to secondary school 3 years ago. He was ranked number 1 in grade 9. During grade 10, his mother died and, as his father is old, this put a lot of pressure on him to support the family. His results in the grade 10 National exam were not good enough to let him progress to grade 11. 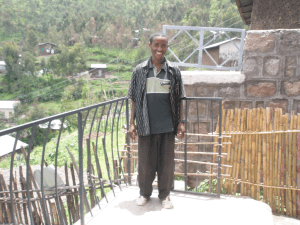 Last year he joined the Vocational school in Lalibela to study Surveying. He had to drop out as he did not have enough money to pay the fees, or to live. ( I do not have the price of my mouth!) 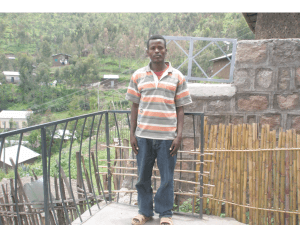 He resat the National exam this year and has obtained high enough marks to go to teacher training college and study for a Diploma in teaching. It has been agreed to give him 900 Birr every month (£45), with an incentive bonus of 600 Birr on successful completion of semester 1 and another 600 Birr on successful completion of first year. Mebratu’s family live in a village about 30 Km. from Lalibela. His parents are farmers and are illiterate. He is the second of 10 children. His older brother scored high enough grades to further his education, but dropped out as there was no money to support. The parents would like Mebratu to leave school, get married and become a farmer. Mebratu is determined to succeed. Last year he was successful in getting a place in grade 11 and has managed to complete this, finishing in 22nd. place out of 200 students. 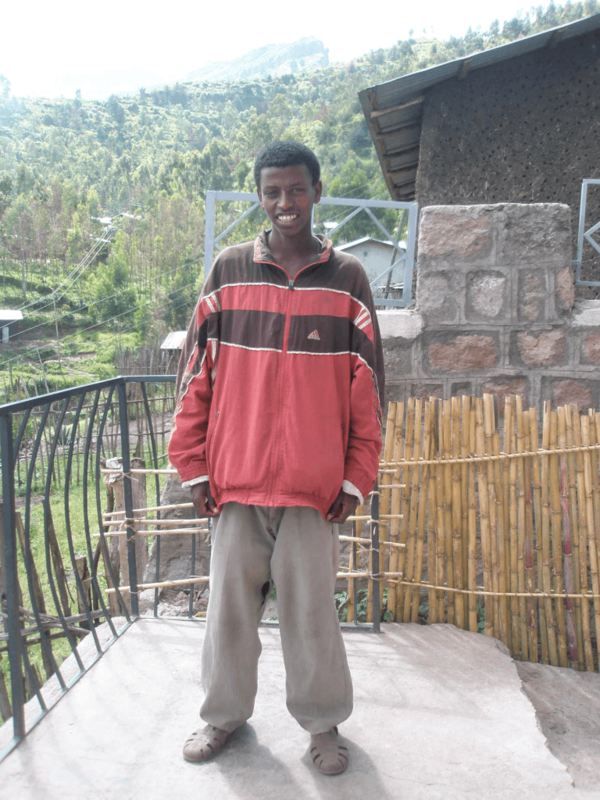 During term time, he stays with a relative in Lalibela. As the relative is very poor, he asked for money to pay rent and to buy food. His ambition is to go to University next year and study Computer Science. It has been agreed to give him 500 Birr every month (£25), with an incentive bonus of 500 Birr on successful completion of grade 12. Getnet is from Lalibela. His father died a long time ago and his mother has been trying to bring up Getnet and his 4 sisters. His mother and the 2 older sisters are illiterate. The 2 younger sisters are attending school. The oldest sister is now divorced and is back living at home with her 5 children. 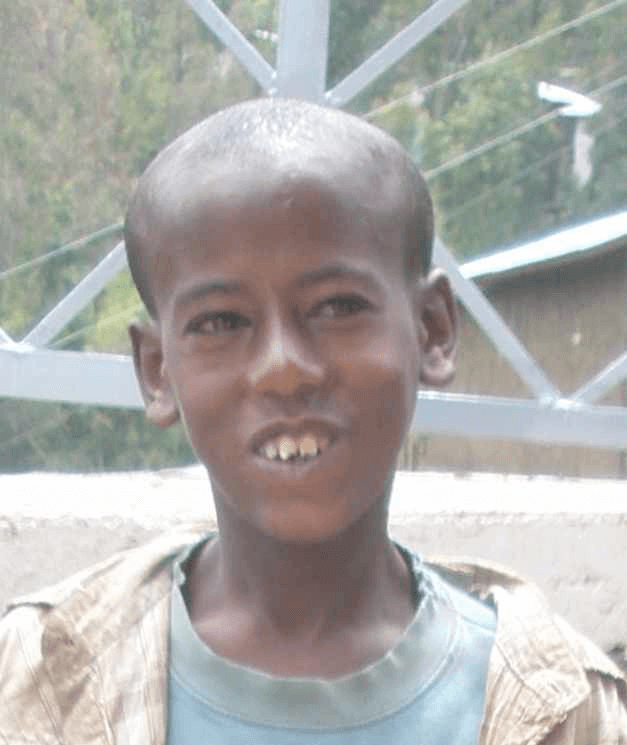 Getnet, being the only boy, has been taking on responsibility for the family. 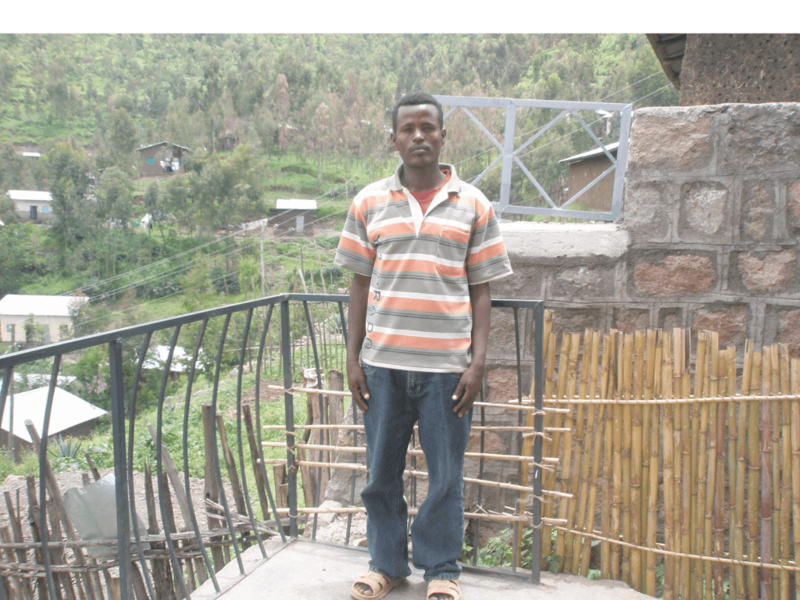 He has been working as a labourer, in addition to attending school, in order to provide some money for the family. 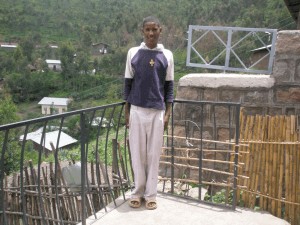 Getnet has had constant good results from school, but his results from the grade 10 National exams, were disappointing and he just failed getting a place in grade 11. (200 students from 2,000 are allocated places in grade 11). He is still very keen to continue with his education. It has been agreed to allocate him 500 Birr per month (£25) on 2 conditions. He must enrol and attend a one year course at vocational school. He must resit the grade 10 national exams next June. If he successfully completes the year and gets high enough grades to progress to grade 11 next year, he will be given a bonus of 500Birr. Tarko is from a very poor farming background. The family are unable to support his education. In addition to his studies, he has worked as a labourer to earn enough money to live. He was 8th. in his class in grade 9 with an average of 65%. Unfortunately his results in the National exams for grade 10 were not good enough to let him progress to grade 11. Eyerus lives in Lalibela with an elderly aunt and uncle and their children. Her father died when she was 3 months old and her mother abandoned her when she was 6 months old. She has no contact with her mother. Her uncle is 80 years old and is now too old for labouring work. In addition to her studies, Eyerus has gone to the hills, collecting firewood to sell, and thus helping to support the family. Eyerus has done well in the grade 10 National exams. She has achieved a place in grade 11. It has been agreed to give her 500 Birr every month (£25), with an incentive bonus of 500 Birr on successful completion of grade 11. Getanu’s parents live and work as farmers in a small village called Koyta which is 2 Km. from Lalibela. They are very poor. 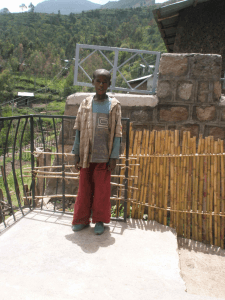 His elder sister works as a servant in Lalibela for no pay. She gets her board and keep in return for work. His younger brother, aged 12, is deaf. When there is no school, Getanu works as a labourer to earn money to help support his family. 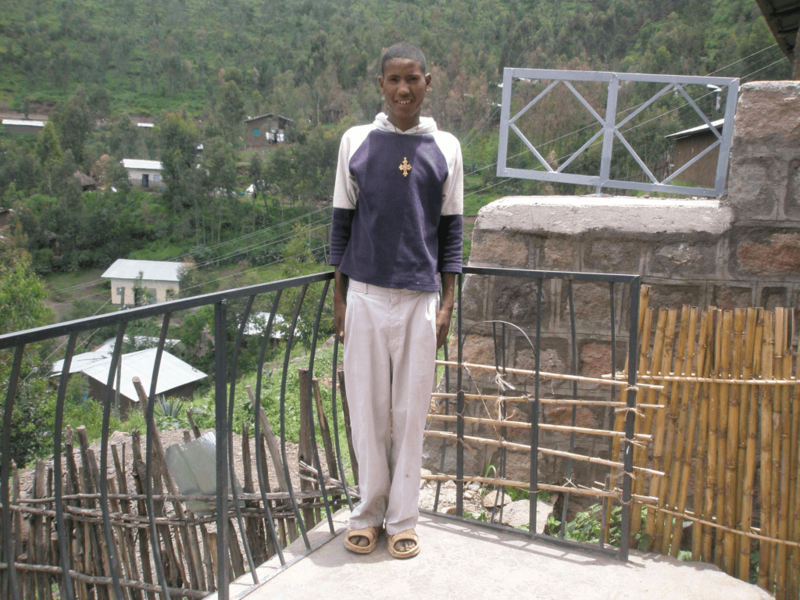 Getanu has successfully completed grade 9 and is moving into grade 10 this year. It has been agreed to give him 500 Birr every month (£25), with an incentive bonus of 500 Birr on successful completion of grade 10.